Visual Makeover covered it in its article Hairstyles that Make You Look Younger. 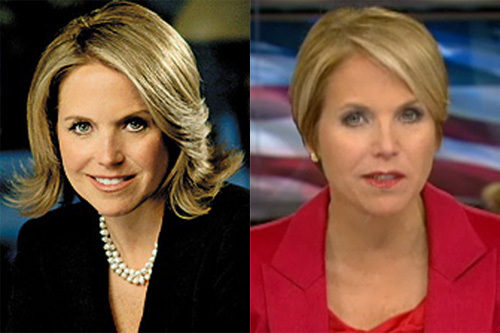 For years, it was known as the Ann Landers syndrome . . . professionals with waist-length, Cher-hairstyle. The 50-year-old with the poodle perm. The guy with the comb-over. The post-teen enraptured with bleached “big hair” and the aging rocker who still has to toss what’s long since shifted south. Celebrity impersonators aside, if you’re wearing the same hairstyle you did 10 years ago, its time for a new hairstyle. To get you going, here are our seven hairstyle sins that put you in the Hair Rut Hall of Fame. We even have solutions! You won’t let go of the idea that your superfine hair can be waist-length . . . Give it up already.Look in the mirror, cup the ends of your hair under and check out how moving the length up a bit will brighten your face and take off years. You can also get softened, chipped or beveled ends—as long as they’re shorter. A few layers and the right hair styling products will give you more volume than you ever imagined. The new hairstyle snipped shorter, your hair will look lots healthier—and thicker. At your 25th high-school reunion, friends think you’re your mother. 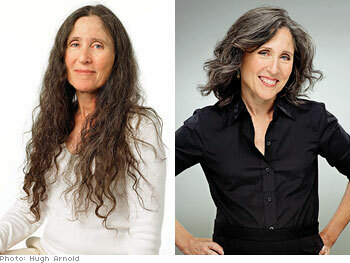 Same hairstyle, older face than they remember: Chances are, you’ve got mom’s gray hair, too. If you like your particular cut, and it’s already short, think about shifting the shape. A good hairdresser can make your hair fuller on top or face-framing. Or, the sides can go geometric to look more updated. Just a few layers will add movement, while blunt bangs look more stylish when they’re razzored at the ends. When it comes to that hair color, even the chemical-phobic have to admit that gray hair makes you look older. Opt for a shade that’s a bit lighter than your hair was when you were young. If taking years off your look doesn’t convince you that change is good, nothing will. Your photos never change. Sometimes actresses don’t want to try a new hairstyle because it’ll date their headshots and they’ll have to pay for new ones. But take it too far and you aren’t fooling anyone; they eventually see you in person, and you’ve changed—except for your hairstyle. If your hairstyle looks like it did in your prom photos, make a list of what you actually like about your hairstyle in the photo: the length, the color or the volume. Sometimes, you’ll discover what you really like is that you looked younger. Look through magazines for contemporary new hairstyle with the same attributes you like best, and get yourself to a hair salon. You rely on your hairstyle for an emotional boost. Women tend to define themselves by their hairstyle, and frequently, they wear the hairstyle they had when they were happiest in life. Disengage, and get to the heart of how that hairstyle made you feel. Was it feminine? Powerful? Whatever the emotion, realize it comes from more than a hairstyle, then ask your hairdresser for ideas on a new hairstyle that taps the feeling you want. If the look was super-chic then, ask what’s stylish now, You might be surprised at how a little change will make a big difference. After all, today’s new hairstyles are influenced by eras past, but are updated for the here and now. You get no professional respect. To be taken seriously on the job, you have to look the part. Baby bangs and little-girl looks aren’t right for the high-powered lawyer. Long, straight hair or big-bubble hairstyles don’t do much for career advancement either. At your next professional conference, check out what other women are wearing. If you find someone with a look you like that’s different from your own, ask for a hair salon referral. Sometimes, just checking out your hairstyle against your facial shape and body proportions tells you what’s wrong. Women on the shorter side may be overwhelmed by waist-length hair. hairdressers have gotten so much better at adjusting looks to work with face shapes that it’s best to get an expert’s opinion. You’ll never be mistaken for a celebrity. A Cool hairstyle is part of looking put-together all the time. Look to the celebrities to check out what hairstyles they’re wearing. Make certain you’re looking at celebrities close to your age, who also have your hair type. They have the best advisers in the world telling them what the greatest haircut for them is—and they change their looks often. Nothing’s wrong with being a copy cat with your new hairstyle, if you’re a cool one! You are mistaken for a man. Sure, you like short, easy-care hairstyle, but if you’ve become so attached to comb-and-go that you’re wearing a ‘70s “androgynous” hairstyle, you haven’t checked out what’s new in effortless looks. Not only are dozens of darling short cuts cropping up—today’s hair styling products and tools make them easier than ever to style at home, You’ll also find they’re lots more versatile than those old, short snips. Check out neo-geo bobs, layered crops and cuts that let your natural texture do all the work. Once, super-curl wasn’t considered a good thing, but today, sassy spirals are simply fabulous for a new hairstyle. For more great looks check out our Pinterest Aging Gracefully Board. January 22, 2013 By: Paul Lynn Leave your comments (0), Your input matters.